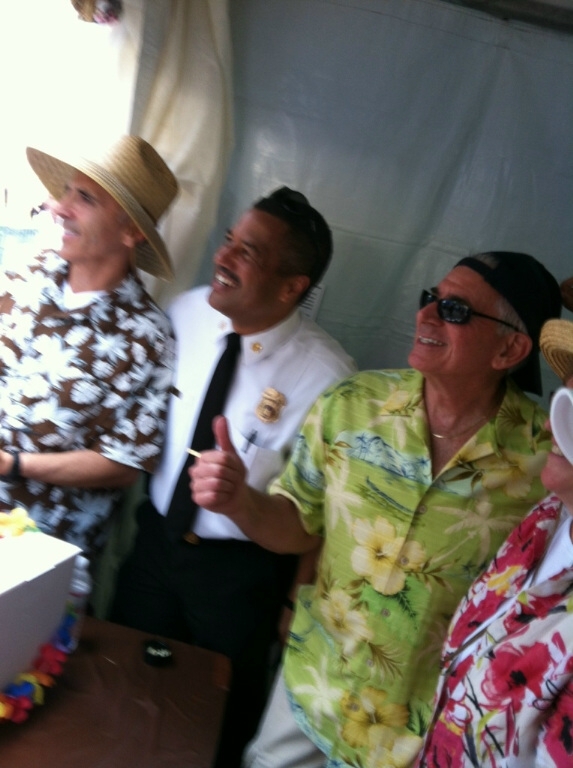 Dr. Scott Supports Hope for Firefighters Fundraiser 2012 | Robert Scott, Ph.D.
On June 7th 2012, Dr. Scott along with firefighters from twenty-five Los Angeles Fire Department fire stations gathered in Downtown Los Angeles to participate in a culinary competition and serve delicious food to thousands of citizens and business people as part of the Hope for Firefighters Fundraiser. 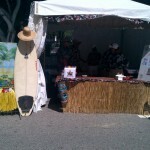 Established in 1998, this annual event benefits the Los Angeles Fire Department Widows, Orphans and Disabled Fireman’s Fund. 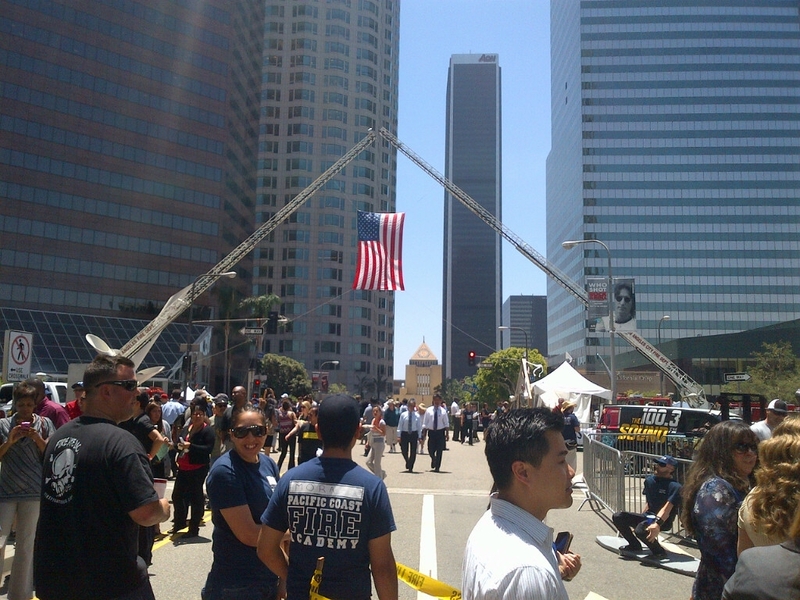 Several blocks of a busy Los Angeles business district were blocked off for what has become the largest fundraising event of its kind in the United States. 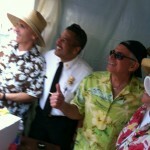 Firefighters from twenty-five stations set up unique booths featuring several culinary delights, ranging from fish tacos to hamburgers to tri-tip sandwiches to deep-fried Oreo cookies. Area residents and business people flocked to the event, paying for a meal ticket that enabled them to eat this delicious food, which was donated by various local corporate sponsors. 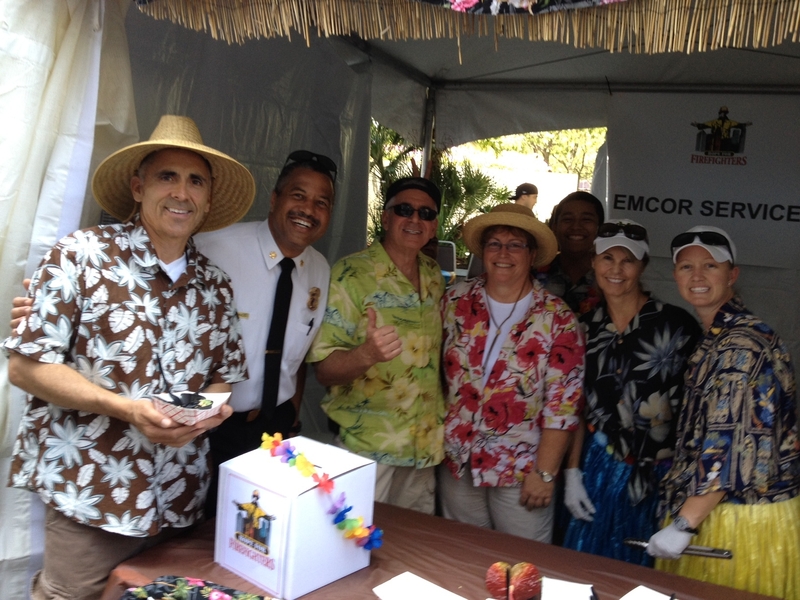 Dr. Scott and his LAFD office co-workers from the Medical Liaison Unit created and cooked their own unique menu which included zesty garlic citrus grilled chicken skewers with a side of Orzo pasta salad. 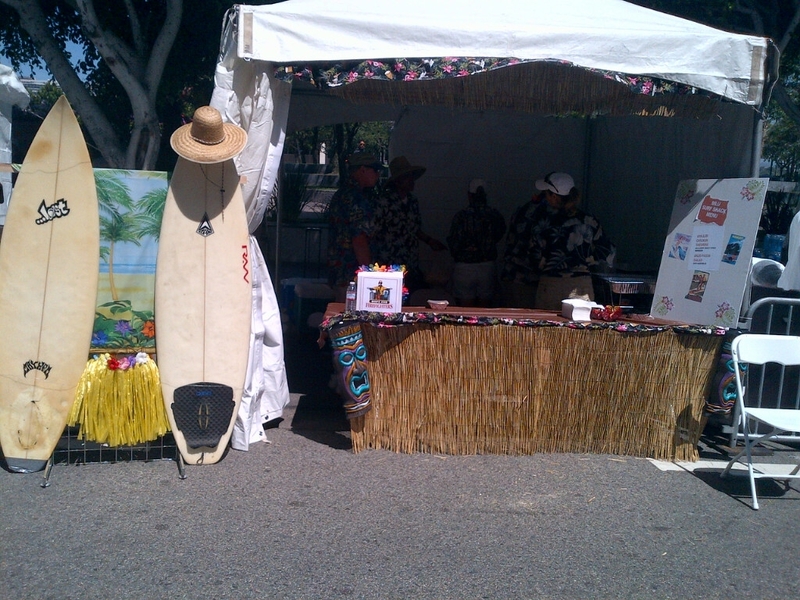 Additionally Dr. Scott came up with the booth design and theme as the “Surf Shack” and all were dressed in Hawaiian Shirts and Beach wear. 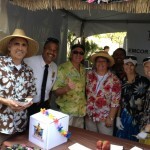 In addition to the proceeds of the lunch tickets, the event raised funds for the families of fallen and disabled firefighters through corporate sponsorship, raffles and the sale of Los Angeles Fire Department merchandise through the Dalmatian Firehouse Store. 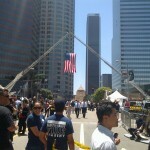 Battalion Chief Steve Ruda of the Los Angeles Fire Department announced that the event had raised over $100,000 in four hours. Next June please come out and join the fun activities at the 2013 Hope for Firefighters Fundraiser. Look for Dr. Scott & MLU’s booth, buy a meal, and please say hello!